Over/Under: Under 157.5 at 1.90 Bet Now! Both teams have a 10-10 record for the overall season in the Euroleague but it is the Russian side that holds a slight advantage. 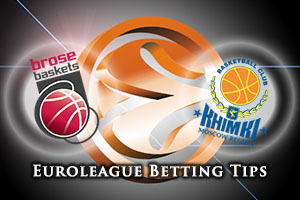 Khimki are currently 5-5 for the Top 16 while the hosts are 4-6, and this is a must-win game for both teams. This isn’t the most eye-catching of Group F games taking place on Thursday night but it could be a massive game nonetheless. While Brose Baskets Bamberg haven’t enjoyed the best of times overall in the Top 16 of late, they are currently 7-2 at home in the Brose Arena. 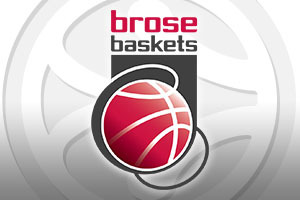 Any team that can defeat Barcelona and Olympiacos is clearly doing something right, and Brose Baskets know that they have what it takes to win games in Germany. Janis Strelnieks has been a big player this campaign and if he can repeat his match-winning performance against Olympiacos, the home fans will have another chance to celebrate and be optimistic about the playoffs. There won’t be many other chances for Brose Baskets to push into contention for the playoffs, but this game is a real opportunity to move forward. When these two teams met earlier in the Top 16, Khimki grabbed a 78-61 and Alexey Shved was in great form with 22 points. This will give the Russian side confidence heading into this one, even if they know that the Germans are a very different proposition at home. Players like Shved and Sergey Monya have the ability to win games but the fact that the Russians could be missing James Augustine will be a big concern heading into this game. Khimki are currently 0-4 away from home in the Top 16 and the odds are against them grabbing something from this game. The bookies actually think that the Moscow team are the favourites for this one, and it should be a very close game. However, there is a lot to be said for taking Brose Baskets Bamberg in this one at +1.5, at odds of 1.90. If you are looking for the Over/Under market, look to go UNDER 157.5 at odds of 1.90. Bet Now!